Today marks the 5th anniversary of the historic United States Supreme Court decision in the case of Citizens United v. The Federal Election Commission. The U.S. Supreme Court declared that corporations were not subject to restrictions on campaign contributions; placing them on the same footing as individual citizen donors. Marc and his panel discuss the case and its repercussions, 5 years later. Our guests include: John Nichols, Washington Correspondent for The Nation and co-author of Dollarocracy: How the Money and Media Election Complex is Destroying America; John Malcolm, Director and Ed Gilbertson and Sherry Lindberg Gilbertson Senior Legal Fellow at the Edwin Meese III Center for Legal and Judicial Studies at the Heritage Foundation; and Charlie Cooper, President of Get Money Out – Maryland. 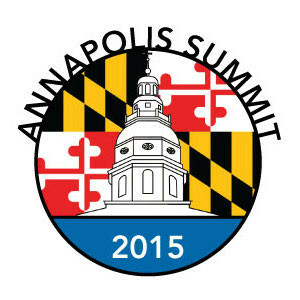 Then we continue our Countdown to the Annapolis Summit series with a conversation about the gubernatorial fund in Maryland with: Jennifer Bevan-Dangel, Executive Director of Common Cause Maryland; and Jared DeMarinis, Director of the Candidacy and Campaign Finance Division at the Maryland State Board of Elections.